Liverpool did it the hard way, but they did it. 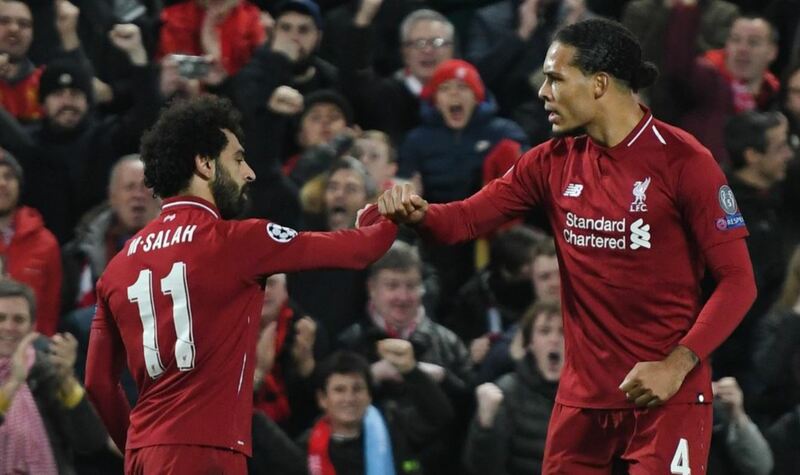 The Merseyside club made it into the last 16 of the Champions League with a 1-0 win over Napoli, and there were some heart-stopping moments along the way. 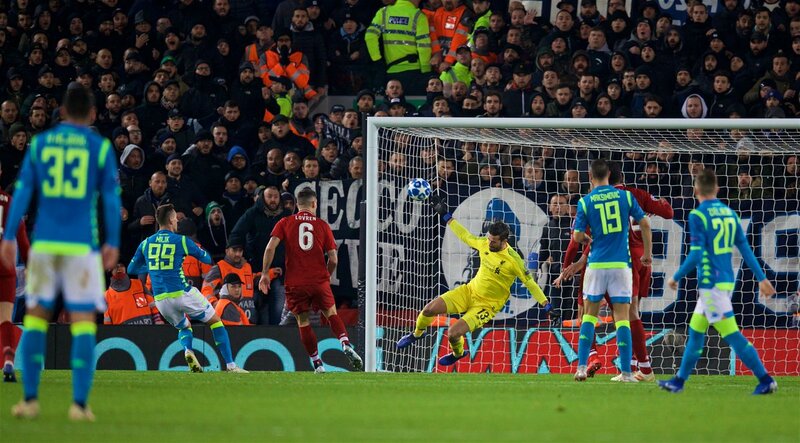 From Sadio Mane’s misses to Alisson’s big save in stoppage, this match certainly lived up to its billing and Anfield was a bundle of energy pushing the Reds towards victory. In all honesty, Liverpool should have won this game by a comfortable margin, but things are never easy for us. Our poor away form saw us lose all three group games not held at Anfield, and this played a huge role in us finishing second in the group behind PSG. Last season, we topped the group and we got a decent tie in the first knockout game with a trip to Porto. Of course, the Estadio do Dragao is a difficult place to visit but we won the first-leg 5-0. Expecting something similar seems a bit of a stretch, given who all we could face in the first knockout round. Borussia Dortmund, Barcelona, Porto, Bayern Munich/Ajax, Lyon, Real Madrid/Roma, Juventus. That makes for some tough games, and if things work in our favour we could be drawn against a Porto or Ajax, but that’s wishful thinking. There is another issue we have to keep in mind with Virgil van Dijk missing the first leg of the knockout round due to his yellow card against Napoli. Liverpool have been excellent in the Premier League but their performances in Europe haven’t been outstanding this season. However, to progress, they need to get some things right. Jurgen Klopp has tweaked a lot with his formation this season, and it has worked more often than not. Shifting from the crazy heavy metal 4-3-3 last season, the German has deployed a safer 4-2-3-1 with Mohamed Salah leading the line and Roberto Firmino playing behind the Egyptian. This pragmatic approach makes it difficult for teams to break us down but our attack isn’t as fluid as it was last season. The Reds struggled with their 4-3-3 in Europe this season, and some of our worst displays actually came with this formation in use. Looking at the opposition, only the likes of Real Madrid, Juventus and Barcelona should scare the Reds. We have a decent record against Borussia Dortmund with that magical night in the Europa League a couple of years ago. Further, Bayern Munich aren’t the dominant force they were under Pep Guardiola and have already lost three Bundesliga games this season. 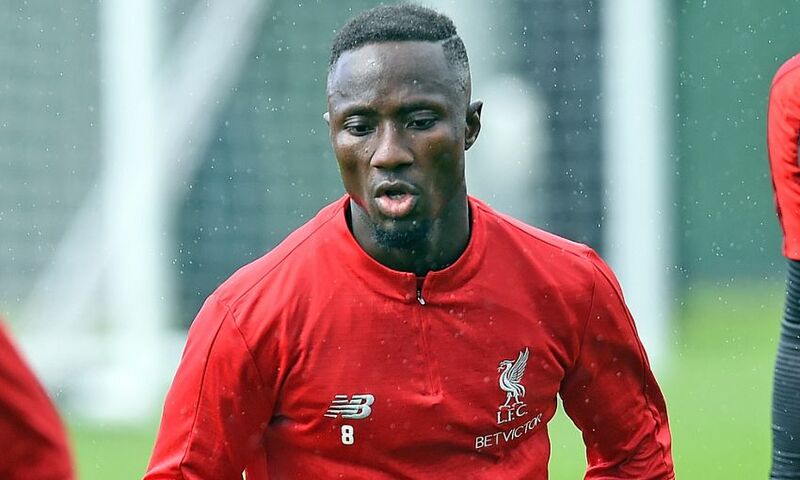 The Reds should keep playing their 4-2-3-1 formation and possibly field Naby Keita in behind Roberto Firmino. The Guinea midfielder has the guile and ability to run past defences with his dribbling, while Firmino can stretch any defence with his movement. Shifting Salah out wide to the right might be a risk after his exploits down the middle, but this makes us play similar to what we did last season. The Egyptian was brilliant down the right against Napoli and he seems to be hitting form at the right moment. The trio of attackers need to find their verve, and fortunately, we seem to be heading on the right track if the last few games are taken into consideration. The midfield is where we should see more change with Fabinho starting more games in Europe alongside Jordan Henderson. The Brazilian is a shield to our defence but is capable of threading the needle too. The pair of Fabinho and Keita have been picking up in recent games, and their partnership will be crucial in our Champions League run. We have toned down the Gegenpressing in the first half of the season, but that surely has to change once we face some of the tougher sides. The defence and our goalkeeper are possibly the best in England, and one of the best in Europe, so we aren’t worried about that. The Reds are in great touch now, and qualifying for the knockout round will have given us more confidence. We beat Napoli at home, we beat PSG at home, and frankly, we shouldn’t worry about who we face in the next round.